I’ve had a great time writing this story. I set out to write about the cars I’ve had over the past 35 years, but 4000 words later, I ended up writing about the many fond memories I’ve had around car ownership and life in general. I’d love to think my kids read this story in 50 years time when all cars are made of plastic and powered by sherbet or some other wonder fuel. 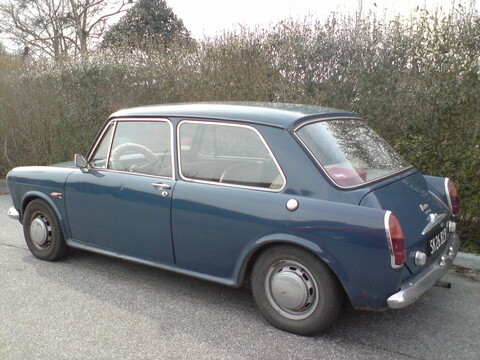 Whilst still too young to legally drive, I bought my first car when I was just 16, an Austin 1100 in Dark Blue. It came with six months Tax and MOT and my brother, bidding on my behalf, paid the pricely sum of £26 for it at the local car auction. Think of it as the Renault Clio of the 70’s, made famous by Basil Fawlty when he thrashed his with a branch when it wouldn’t start. Where I lived at the time we had a massive car park behind our house and I used to walk over to the local garage with my petrol can, come back with a gallon of petrol and spend a few hours driving round the car park. When the MOT ran out I tried to get it through another one but the rust worm had taken hold of the sub frames and it would have cost about four times what the car was worth to get it repaired. So it was game over and I sold it to the scrap yard for £20. Thirty-five years on £6 for six months of motoring is by far the best value I’ve had from any car. 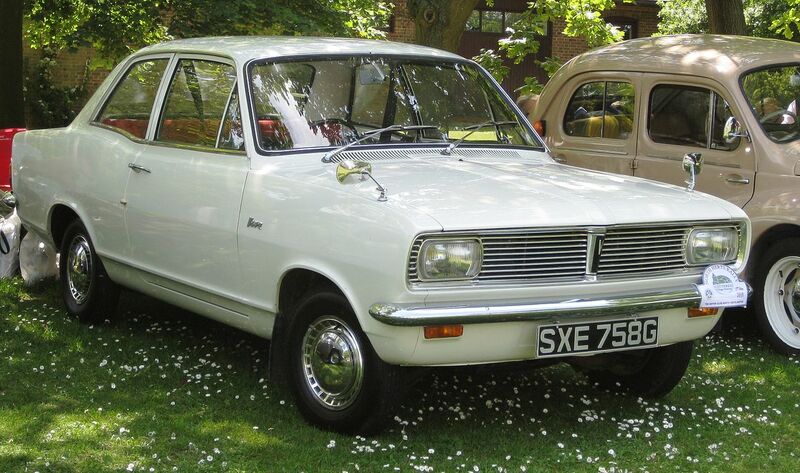 I’m 17 and I’ve just passed my test and my new pride and joy is a Vauxhall Viva HB in sage green (maybe that was an early omen). I think I paid about £100 for it and it came with 12 months MOT and an 8 track. How many people remember 8 tracks? It was the iPod of the 1970s, yes I may only have had 5 or 6 tapes but it was high tech to have an 8 track in your car back then. However, on later inspection I discovered the Viva was infested with the rust worm and was held together by gaffer tape that was sprayed the same colour as the car. I can only assume the MOT was dodgy. Anyway, it lasted the year it got me from A to B and it got my mates and me to Scarborough a few times, high living indeed. I can’t remember how its life ended but I think it must have gone the same way as the Austin 1100. After the Viva came my shortest length of car ownership. I was really after a Ford Granada (inspiration from watching the Sweeny maybe?) 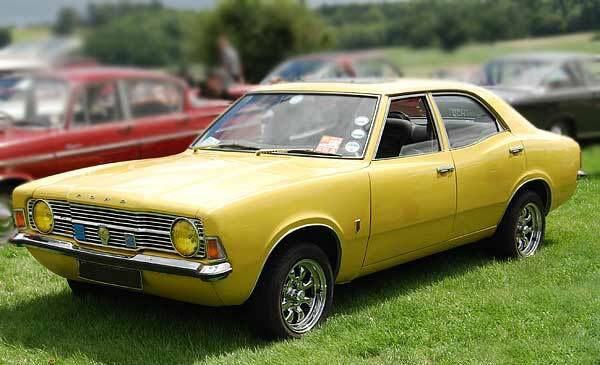 and one day I went to look at a Ford Cortina Mk3 in Daytona Yellow. Whilst I didn’t like the colour, I was desperate to buy a car so I bought it and left the seller a £50 deposit, I agreed to pay the balance and collect the car the next day. However, on my way home I couldn’t stop thinking about the colour, I hated it and therefore what a huge mistake I’d made. So, I turned around and went straight back to tell the guy I didn’t want to buy his car and ask for my deposit back. Whilst he wasn’t very pleased he was genuine enough to give this stupid 18 year old his £50 quid back and I’m grateful to him to this day.